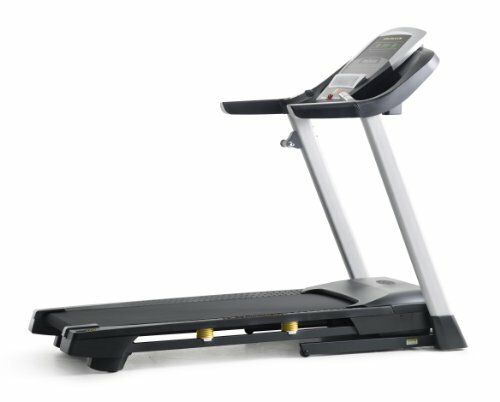 In this article, we will be taking a look at the top 10 best treadmills under $500. 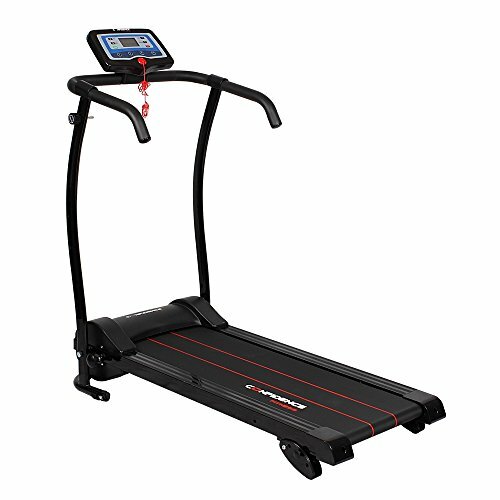 At this price range, we take a step up from the manual treadmills and move over to the more powerful electric models. 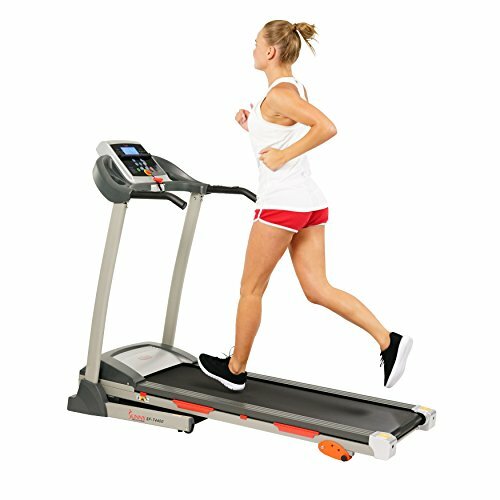 Whilst they're not the type you will find in your local gym, those are the ones featured in our treadmills under $1,000 article, you do still get a lot of your money. 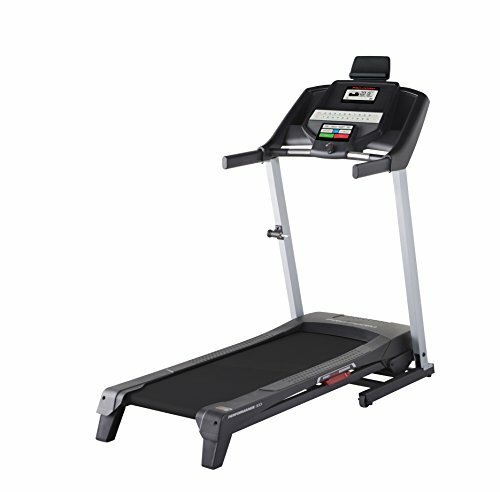 A budget of $500 is ample for a great treadmill that will be the perfect addition to your home gym. There are, however, a few things you need to know before you do buy. Not sure which is the best treadmill for you? We've got a full review, tech specs and pros/cons for each of the 10 best treadmills in this list. The Sunny Health & Fitness treadmill is one of our mid-priced models with a powerful motor. At 2.2 horsepower, it is capable of speeds up to 6 mph, which whilst not the fastest in the group is ample for most people. 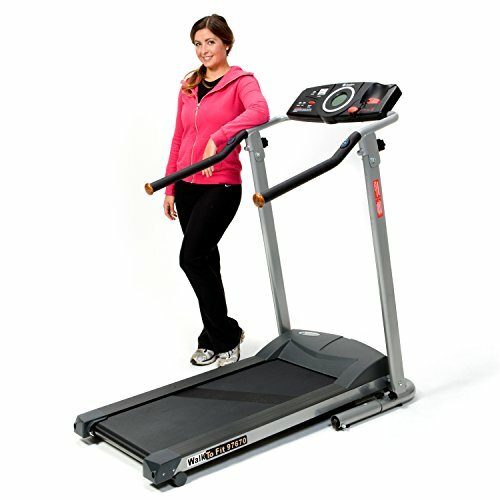 It has 3 incline gradients and 9 different workout programs to choose from and vary your workout routines. The Weslow Cadence G 5.9 is arguably the most popular model on this list, this brand and model dominates the sub $500 range and commands great reviews from its users. It has a powerful 2.25 hp motor, an upper weight limit of 275 lbs and a top speed of 10 mph. 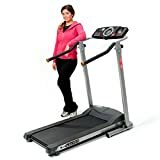 With 6 workout programs and 3 incline gradients, the Cadence G 5.9 is a great buy that is one of the top models and also one of the cheapest treadmills in its category. There are many different models of the Confidence brand in the sub $500 arena, and it can be a little confusing as to which is which. They all look similar, however, they command different features and specs. For example, the Confidence is great for it's added extras such as heart rate monitor and it has a focus on variation, with 12 different workout programs to choose from. It's 1,5 hp motor is ample and provides a top speed of 7.5 mph. The GTR is also a lighter weight model and contains wheels for easier moving and storing away. 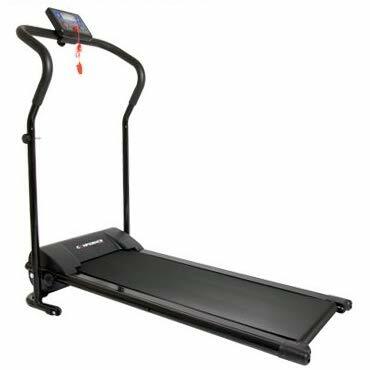 ProForm is a top brand in the treadmill arena, however, it is rare to see them with products in the $500 range. The Performance 300 model has all of the specs of a sub $1,000 model for half the price. This model really does shine with its 2.0 horsepower motor, which can reach speeds of up to 10mph and supports a max weight of 300 lbs, the best in its class. 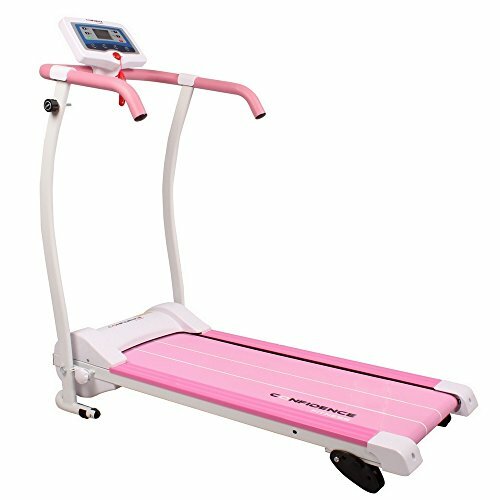 There is also a generous running deck which measures 18 x 50″ and this is combined with 16 programmable workout routines and 10 incline settings. The Exerpeutic TF1000 comes with the best warranty of the bunch with 5-year frame and motor cover and a 90-day parts and labor warranty. 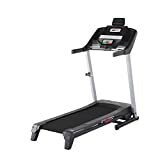 However, it does lack in the motor compartment with just a 1.5 ho motor and a top speed of 4 mph, this model is best suited to seniors or those looking for a light workout with walking or jogging in mind. Another plus side is that the TF1000 has 16 exercise program settings in addition to the 10 include gradients, so you can switch up your workout freely. Here we have another entry from Weslow, this time, their Crosswalk 5.2T model. Whilst this, model certainly has the sleek looks and the high powered 2.5 hp motor, it does lack in a few areas. Firs off there are only 4 workout programs when compared to the average of 10. There is also just 2 incline settings. The top speed on this machine is 10 mph and has a max weight limit of 225 lbs. The Weslow Crosswalk is more suited to light workouts where jogging and brisk walking ar the main exercise. Here we have another entry from the Confidence range, this time, the Power Plus model. This is our budget selection in this top 10 list, priced at around $200 at the time of writing, this model is great for those on a tight budget that requires a lightweight machine. If you don't need all of those fancy settings such as incline and workout programs, then this is the model for you. I am sure you have heard of Gold's Gym, this brand is epic in the health and fitness industry and they build great study products that are designed to last. I have a Golds adjustable weight bench in my home gym that I have used for over 10 years and it's still going strong. 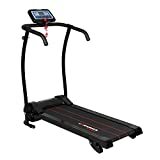 The Trainer 315 will give you plenty to go at, with 6 workout programs and a max speed of 10 mph it is one of the better treadmills on the list. 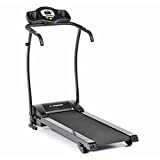 The Exerpeutic Fitness is another of our budget models, if you don't want to run or mess with any fancy settings either this or the Confidence Power Plus, featured above, are perfect. It is lightweight and has wheels and is designed to be super compact. Our final entry is another by the Confidence brand, this time, the Power Trac Pro. This model comes with a few more bells and whistles than the previous models, with 12 workout programs, and 3 different incline settings it is a great treadmill for the price. Please note that the speed setting on this machine increase in 4, quick-select speeds of 1.86mph, 3mph, 4.9mph, 6.2mph. This is a great choice if you're looking for simplicity and a great price. 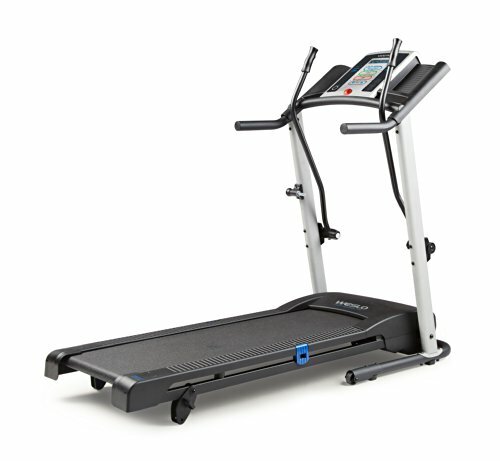 What To Look For When Buying a Budget Treadmill? The running deck is the single most important thing to pay attention too. In the top treadmills featured above, you will notice a big difference in the size of the running decks on each model. Generally, the cheaper the treadmill, the smaller the running deck. Whilst that's not true 100% of the time, we have found that in most cases, the more you pay the biggest surface area you get to run on. If you're a seasoned runner and are happy to go with a smaller deck then that's fine, however, many of us aren't and are just looking to get fit and lose a few pounds from the comfort of our own home. If that's the case then be sure to choose a model with a wider deck, around 18″ at least if you can. Within this budget range, you will typically see running decks between 14 and 20″ wide, any wider and we push through into the sub $1,000 range. Whilst the power of the treadmill is somewhat important, it really depends on what you want to do with it. If you are looking to do some brisk walking and even jogging then a motor that outputs around 1.0 hp (horsepower) will be plenty. This will, of course, limit the top speed of the treadmill to around 4-6 mph. So if you want to do some serious running or at least have the option to do so later down the line I would suggest going for a 1.5-2.0 HP treadmill. 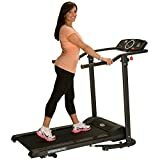 Don't worry if all this is confusing, I break each one down into a handy little table below for you to compare the top 10 treadmills and decided which is best for you. If space is tight in your home gym and you're looking for something a little more compact and even a treadmill that folds down flat for easy storage, then again I have included this information in the table below. Not all treadmills are foldable, however as this is a review of the top 10 under $500, most of them do as they come will all kinds of bells and whistles that make them the best of the best. On delivery day, I would recommend that you have at least 2 even 3 people handy to help you take delivery of your chosen treadmill. First up, they are very heavy so if you need to go up any flights of stairs, over walls and rails then you will need more than just yourself, I don't care how strong you are! Then there is the issue of maneuvering the treadmill. Inside of the box, it is hard to get a decent grip and whilst it will slide over some surfaces, others, such as carpet, are not as forgiving. So again, 2 or more people will make the job that much easier. Ensure you have a good idea where you treadmill will go before choosing, this is often decided by the amount of space you have but don't forget about storage. Where will you keep the machine when not in use? If it will stay in situ then that's fine, if not you should take a look at the dimensions for each I have provided below to make sure it will fit your chosen location when in use and when folded away. Most of the treadmills featured in our top 10 will support a max weight of around 200 lbs, some recommend less which is why we feel it's important to keep that in mind. Obviously, we are looking for a machine that will fit the bill at under $500, so our budget will dictate which machine we buy, however, you don't want it to break by exceeding the weight limit set by the manufacturers. There is a chance you may not be covered if you do.